The records of the United Food and Commercial Workers , Local 525 (Asheville, N.C.), 1944-1986 (bulk 1961-1983), contain correspondence, organizing materials, legal files, publications, meeting minutes, annual reports, financial records, political and legislative materials, and newspaper clippings. The UFCW, Local 525, began as the Amalgamated Meat Cutters and Butcher Workmen of America [AMCBW], Local 525. AMCBW, a large union based in Chicago, represented butchers and meat-packers a well as leather and fur workers. In 1960-1961, the myriad of smaller AMCBW locals throughout North Carolina voted to merge into the Local 525 for better management of members’ affairs. Local 525 also organized and represented workers employed in food processing factories. Local 525 worked in an extremely anti-union political environment, and as a result faced an uphill battle in promoting the interests of organized labor, often winning in court but being stymied by extra-legal methods and delay tactics. 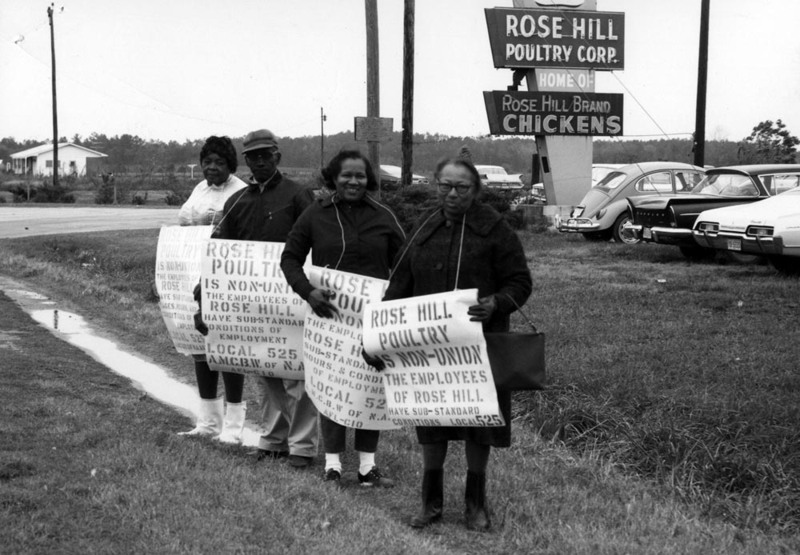 As a result of these challenges the local allied itself with local politicians in an effort to change the political culture of North Carolina, but had limited results. The Southern Labor Archives is part of Georgia State University Library’s Special Collections and Archives Department. For more information, please contact us at 404.413.2880 or at archives@gsu.edu. This entry was posted in African American Studies, Business, Communication, Economics, For Faculty, For Graduate Students, For Students, General News, History, New Resources, Sociology, Special Collections & Archives, Women's, Gender, and Sexuality Studies. Bookmark the permalink.